In the spring of 2007, Mark, Kali, Darwin and I were looking for a suitable and affordable catamaran to live on, and sail to the Bahamas with. We found Irie – then called “Big trouble” – in the Annapolis area, Maryland, thanks to our broker turned friend Tommy Smith, and in June she was ours. 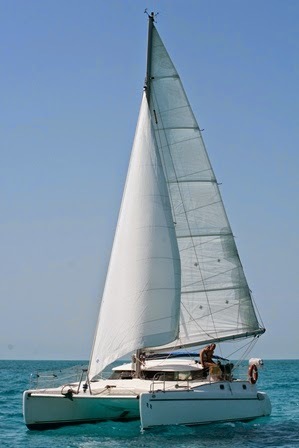 We immediately moved aboard (we had been living in a tent and out of a car for a few months up to that point), turned the 35’ sailboat into a cruising catamaran and prepared her to leave the area – which happened in October 2007 when we started our trip down the ICW (Intracoastal Waterway) to Florida. That was exactly 7 years ago! Right after all my Green Card procedures were finished, we eventually left the country the end of January 2008 for what would turn into a voyage much more interesting, exciting, and extensive than we ever anticipated. This is how Mark and I work, though, we have a thought, implement it, and “see what happens”, just like when we were going to visit Mexico by camper, and ended up driving all the way to Panama and back. As long as we are enjoying what we are doing and it keeps us entertained, captured and challenged, why stop? So, we reached the Bahamas, and around the first hurricane season, when it was time to make some commitments or to return, we decided to continue on, and never looked back. The Turks and Caicos, the Dominican Republic and Puerto Rico followed. Saddened by the loss of our beloved dog Kali, we entered the “real Caribbean”: the US and British Virgin Islands. Then, we discovered the Eastern Caribbean, where we sailed up and down the island chain for three years, spending the cruising season in St. Maarten/St. Martin to work and the hurricane season in Grenada, to work and “play” and haul Irie out of the water for annual maintenance. In 2009 a big change happened in our lives when Mark and I invented the Wirie, a long range Wifi product for boats and RVs, and turned it into a real venture. Cruising would never be the same anymore with this new responsibility and commitment. In the winter of 2010, during a stay in the United States for family reasons, our other amazing dog Darwin passed away. 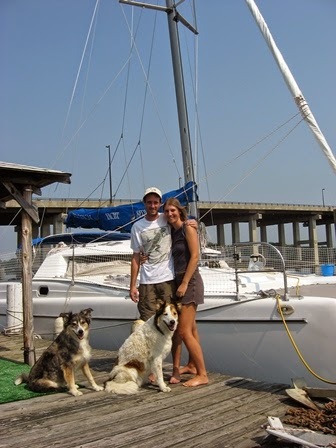 Our family was reducing, but the burden of cruising – in combination with running a business and trying to make money to maintain our frugal lifestyle – only increased. 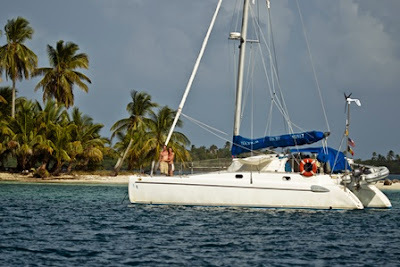 In 2012, we decided to take it a bit easier and enjoy the cruising lifestyle again for what it was: we sailed west and spent almost a whole year in the wonderful paradise of the San Blas islands in Panama. Being so close to the Panama Canal and to the “other side”, another big decision had to be made: should we stay in the Caribbean or should we go? Always in for a new adventure… we went! 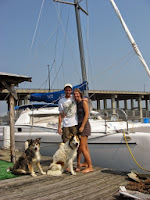 You can call it “the seven year itch”, or you can call it something else, but living on a small sailboat for over 7 (!) years is a long time. Taking showers in the ocean, being careful with fresh water and electricity, having many boat life related chores turn into a half a day of work, constantly chasing the internet, combining our “professional” lives with living afloat in a remote area, keeping up with the boat fix-it list, being weather dependent for every decision… is tiresome and frustrating at times. 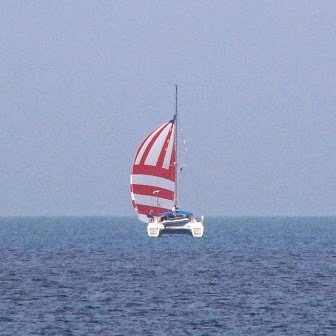 Don’t get me wrong: we really LOVE the cruising lifestyle and we still soak up every colorful sunset, snorkel on the reefs, hike in nature, wildlife experience, new place, adventure or culture, or like to just sit still and take in the scenery whether it is the bright starry night or the “out of this world” beautiful anchorage. But, it is time for something different, another kind of adventure, whatever it might be. So, our Irie is officially on the market and awaiting new owners to have a blast with and on her, and to enjoy, appreciate and love her as much as we do. Until then, we will be savoring our last moments with her in the diverse and wonderful Society Islands – perfect cruising grounds. And, who knows, maybe we will still make it all the way to Fiji next year!